However much you may think you know about wine, it’s humbling to learn how much more you don’t know. 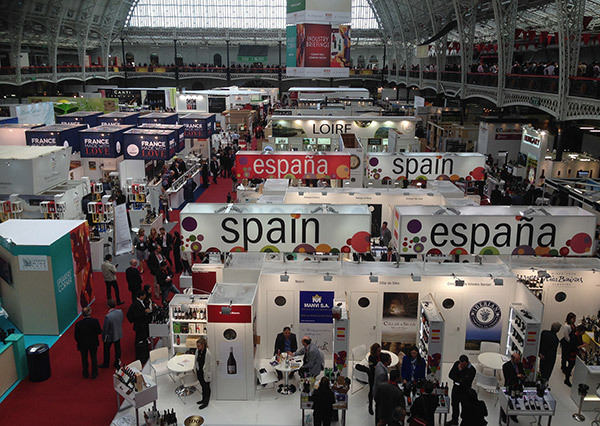 Last week, Mark Andrews, David Hughes and I spent the best part of two days visiting the London Wine Fair at Olympia. And before you are tempted to snigger – ‘bet there was plenty of free wine to sample’ – I should point out that our purpose was deadly serious. All three of us have experience of working on alcoholic beverages, Mark as a producer of commercials, David as a designer and art director, and me as a writer of print ads and commercials. We already have one wine client at Anatomised. It’s our ambition to gain more. Hence our visit to Olympia: to hone our understanding of the wine market. The first thing that struck us as we entered the exhibition was that there was a bewildering array of wines to choose from. We found it hard to know where to start. Struggling to make sense of what lay before us, we decided to begin by visiting England, and headed for the Nyetimber stand. Vaguely, at the back of my mind, I knew that Nyetimber had a reputation for producing sparkling wine that rivaled the best Champagnes, and so it proved. We tasted their ‘Classic Cuvee’ and found it to be rich, dry, and with small bubbles. It reminded me of Champagnes like Krug and Bollinger. As we tasted, we chatted with Nyetimber’s sales director. He explained that the grapes used to make Classic Cuvee were the same as those used to make Champagne: Pinot Noir, Chardonnay and Pinot Meunier. He also explained that the ‘terroir’ (the ground where the grape vines are planted) is also like Champagne, in as much as it is predominately chalk with sandy topsoil. Suitably refreshed by Nyetimber’s finest (I have to confess that we made no use of the spittoon) we moved on to another producer of English wines, the Bolney Estate. Here we met Samantha Linter, Bolney’s managing director and head winemaker. Like Nyetimber, Bolney’s vineyard is in West Sussex, and sits on the same strata of chalk, allowing it to produce sparkling wines that equal those of Champagne. Bolney is less well known than Nyetimber but still produces a sparkler that gives Champagne a delicious run for its money. Next on our wine list: South Africa. I have visited this country many times and I am familiar with many of its wines. But I had trouble recognising any of Rainbow Nation’s bottles that were on display. A charming lady approached us as we hovered by the Lourensford stand. She introduced herself as Ronel Bester, viticulturist and head of international sales, and poured tasting glasses of the Lourensford Estate Shiraz/Mourvèdre/Viognier 2013. As we sipped yet another sublime wine she told us that one of the main aims of Lourensford’s presence at the wine fair was to find a distributor for their wine in the UK. We looked around at the thousands wines on display, and asked what on Earth would mark her wines out from the others. ‘Science does matter’, was her reply. She went on to explain that her winery, unlike some others, clings to scientific practice in the production of its wines. The estate is at Somerset West, just outside Cape Town. It’s on the way to Grabouw, which is noted for the production of fruit. And, sure enough, they grow fruit as well as grapes at Lourensford. They have a novel approach to growing their grapes, too. They have far more hectares than they need, so they can pick and choose where to plant their vines, to best exploit whatever conditions most favour any particular grape variety. This was the sort of story that would allow a copywriter such as myself to create some smashing advertising. But I doubt she has the budget for a conventional ad campaign. Even so it would be great to get the chance to promote Ronel’s product using other, cheaper channels. Every stand we had visited so far was on the ground floor. We decided to take a look at what was happening upstairs, in the gallery that surrounds the exhibition hall. Almost immediately, we came upon the Berkmann stand. Berkmann is a wine distributor based in the UK. Straight away I spotted a wine from South Africa that I did recognise: the easy to swallow, but tough to pronounce, Buitenverwachting. Buitenverwachting (pronounced bay-ten-ver-vackting) translates from Afrikaans as ‘beyond expectation’. Myself, I had great expectations as I’d drunk it many times before. Believe me, it lived up to them as we sipped a glass of Buiten Blanc, a blend of Sauvignon Blanc, Chenin Blanc and Viognier. Nearby, was the stand of another UK-based distributor, Armit Wines. 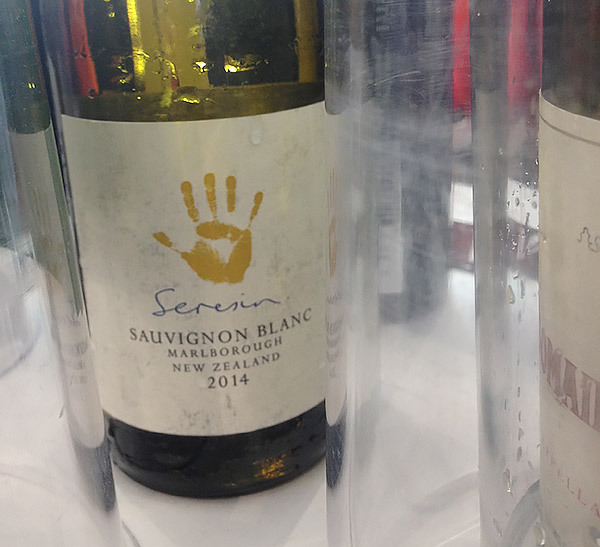 Armit handle the sales of many wines from different countries, but one in particular interested me: Seresin, from New Zealand. Seresin is a wine estate in Marlborough on the South Island. Mike Seresin, a cinematographer and commercials director with whom I have worked many times, owns the estate. He’s certainly a talented filmmaker and his wines display equal flair. We tasted his Sauvignon Blanc, a wine that, it seems to me, tastes as good as its neighbour, the far more famous Cloudy Bay. Also upstairs was a large contingent of winemakers from Italy. Mark is a fan of Verdicchio but we couldn’t see any. The occupants of one stand suggested we try instead a Fiano di Salento from Puglia, a very similar taste experience to Verdicchio, if less well known. Finally, we discovered one enthusiastic producer of Prosecco, Giuliano Parolin of Parol Vini, who liked making the stuff so much he was selling it by the kegload. He gave us a little to taste and I have to say that it didn’t seem to have suffered from being shipped in metal barrels as opposed to glass bottles. We suggested to him that he could do a roaring trade in English pubs on Friday and Saturday nights, particularly to the hen party market. That was it for our first day at the Wine Fair, but we went back the following morning to sample more, starting with France. There was so much of La belle France to choose from that we decided to concentrate on the Rhone Valley; in particular the reds of Vacqueras and Gigondas, two neighbouring villages in the Vaucluse department. Both these villages produce powerful red wines, as our tasting confirmed. By now it was quarter to twelve and I had to leave to have lunch with a client. Mark and David stayed another couple of hours. Almost the last stand they visited was that of the wine growing family Gregor Schup. The Schups are Austrian makers who produce a dazzling array of different wines. Mark and David were particularly taken with the family’s Rotgipfler semi-dry 2011, recommended by Gregor Schup, the son of the family. Like the producer of Prosecco, the Schups were keen to find a distributor in England. So did our two visits to the Wine Fair help us? Yes they did. We learnt many facts about the state of the market, one of which heartened us. After several years of decline in wine sales, the market is showing small signs of picking up. If you are a producer of distributor of wine, all the more reason you need a great promotional presence, to make the most of this small but welcome upturn. At Anatomised, we’re ready, willing and able to help. Why not give us a call?